On 14 November the US Catholic bishops established a permanent Subcommittee on Health Care Issues to deal with the highly contentious subject. The subcommittee will be under the supervision of the Bishops' Committee on Doctrine which is now chaired by Donald William Cardinal Wuerl, Archbishop of Washington, DC. Wuerl will appoint members of this new subcommittee. The bishops have followed through on their own recommendation from the June 2011 meeting to make this project a reality. Hartford Archbishop Henry J. Mansell strongly supported the new subcommittee of the relation of health care to "the Gospel mission of the Church" and because the bishops need to have a handle on the "billions and billions of dollars in funding." Mansell also said, "We run the risk of losing a major ministry of the Church if we don't keep a close eye on health care issues." 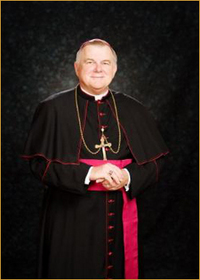 Cardinal Donald Wuerl will be succeeded by the Archbishop of St Paul and Minneapolis John C. Nienstedt. The list of the bishops and consultants to the Doctrine committee is noted here. His Holiness, Pope Benedict XVI met recently with the participants in the conference, "Adult Stem Cells: Science and the Future of Man and Culture," meeting 9-11 November, in Rome. The Pope's November 12th address can be read here where he underscores the unique opportunity to discover the beauty of human life in all its complexities through the work of science. He points out that there are possibilities for the healing of chronic degenerative illnesses. He advocates for an ethic that respects the integral good of human life and the common good of society, especially citing Dignitas Personae. He's lending his voice to scientific research which gives the best outcome to regenerative medicine. Dr Robin L. Smith and her company, NeoStem, organized the symposium with key Vatican offices. Here's a previous post about this meeting. This page is a archive of entries in the Faith & Reason category from November 2011. Faith & Reason: October 2011 is the previous archive. Faith & Reason: December 2011 is the next archive.